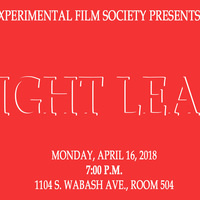 Experimental Film Society is screening more student and professionally made experimental works Monday, April 16! Bring your works-in-progress or final cuts and get constructive feedback. We promote a respectful and constructive feedback discussion after every film for the betterment of student filmmakers. We also encourage you to bring others along, everyone is welcome!